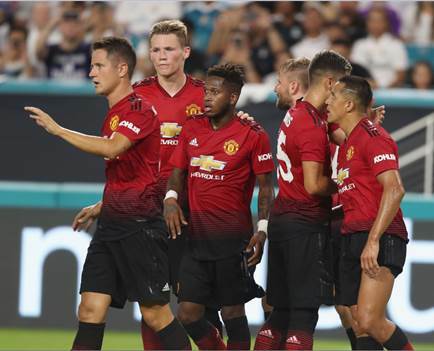 Spark’s just announced it’s secured exclusive broadcast rights to Premiere League football and Manchester United TV and has appointed an ex-TVNZ boss as its new sports chief. New content will be offered via a subscription model on Spark’s sport platform to launch by 2019; details of pricing and packages will be announced closer to launch date. Spark New Zealand announced today that it has secured the exclusive New Zealand rights to more quality sports events – signalling a bigger play into the sports content market, which Spark Managing Director Simon Moutter says is a potential future source of revenue and profit growth for the company. Spark has the exclusive rights to three seasons of the Premier League from August 2019 through to May 2022 – including every match live and on-demand, and some related content such as packaged highlights. It also has exclusive New Zealand rights to Manchester United TV (MUTV) from later this year. This high-quality football content adds to Spark’s existing rights for Rugby World Cup 2019, the Women’s Rugby World Cup 2021, and other premium World Rugby tournaments. MUTV, which is owned and operated by Manchester United football club, offers a range of content related to the club – including exclusive interviews with players and staff, live major reserve and academy games, “classic” matches and all of the team’s pre-season friendly matches. Premier League and MUTV will be offered on a subscription basis over Spark’s sport platform, which will launch by early 2019. Mr Moutter also announced the appointment of Jeff Latch to the position of Head of Spark Sport, leading the acquisition of content rights and delivery of Spark’s sports platform. Latch has extensive experience in the sports media space, having previously been senior executive at TVNZ, where as Director of Content he was responsible for securing content – including sport – across TVNZ’s multiple platforms. Other prior roles include as Chief Executive of Sports Inc (an independent sports production company). Speaking about Spark’s move into sports media, Mr Latch said: “We can’t wait to bring New Zealand this new sport streaming service – which will deliver great content and a great experience at great value. While pricing won’t be revealed until closer to launch, Latch is confident it will offer great value and be an attractive offer for New Zealand sports fans. He said Spark will be partnering with a specialist sports-streaming platform provider to deliver its sports content. “We can’t reveal details today as we are still in negotiations, but we can confirm Spark will stream its sports content from a specialist platform provider, with extensive experience streaming live sports events. Premier League Executive Chairman Richard Scudamore said: “We are very pleased to welcome Spark as a new Premier League partner for the three seasons 2019/20 to 2021/22. The announcement comes just three months after Spark announced it had won the rights to the men’s Rugby World Cup 2019, Women’s Rugby World Cup 2021 and other premium World Rugby tournaments. Latch said that, as announced back in April, Rugby World Cup 2019 will be offered to New Zealanders as a standalone offering – with people able to choose from different options, including a tournament pass and individual games passes. Mr Moutter says Spark intends to be a key player in the evolving sports media landscape and create a viable, future-focussed sports media business that meets consumers’ desire for choice and flexibility in sports watching. “We are setting out to transform the way sport is distributed and viewed in New Zealand – in the same way general entertainment viewing has been transformed by the likes of Lightbox, Netflix and YouTube. “However, we continue to be disciplined when it comes to investments of this nature, with our considered moves into the area of sports content focused on a package of rights that we’re confident we can commercialise. “Although of course, there will always be wider brand benefits to Spark from its involvement with high-profile sports events, we’re keen to secure sports rights that can stand on their own two feet – this is not about using sports content simply as an acquisition or retention tool for our broadband or mobile base. “We’ve developed our strategic approach after spending a lot of time looking at other players in the sports content market in overseas markets. We’ve carefully considered the different models and will be looking to replicate the good things other businesses have done and learn from the challenges they’ve had – all the while thinking carefully about how sports media fits in a New Zealand context,” Mr Moutter said. Spark has a history with the Premier League, having partnered with Coliseum Sports Media (first as marketing partner and then as joint venture partner) to bring the 2013/14, 2014/15 and 2015/16 seasons to New Zealanders via an online streaming service. “It’s great for Spark to be engaged with the Premier League again, and we’re looking forward to announcing more details about our new sports packages,” said Mr Moutter. Getting Latch from TVNZ is a good move. Given the loss of the TVNZ’s sports “champion” will this see the demise of sports on Duke, though? Or a closer tie up between TVNZ and Spark? New head of sport means that finally Spark might be closer to choosing a sports delivery platform. It’s only 12 months til the RWC. Tick, tick, tick. I understand Spark is well advanced on the app/platform of the RWC Coverage. Rumour I heard was a deal should be in the market pre-Christmas. I suspect the mandated FTA highlights package of EPL will return to TVNZ under this. Will be interesting to see if they have a live game again like in the Coliseum/PLP days. “Well advanced” was only what I was told from a contact at Spark. May have just been referring to negotiations, but I’d hope not. Good to hear from Clint that there is a mandated FTA highlights package for the EPL. It’s a good way of keeping an eye on the strengths of the various teams, without spending many long hours scrolling through games outside your “home” side. Apparently no NFL on Duke this year??! Is it a cost thing or a Latch thing? Also no Bundesliga (German football/soccer for those not aware) this year on Duke. Seems like a very similar scenario to ONE in Australia. Owned by Ten, it launched as a multi-channel with sport like NBA/NFL but didn’t see the return and withdrew to focus on other male-skewing shows. Really! Is this true Philip? What’s going on with Duke?! Does this mean that the NBA is at risk too? And what about next seasons AFL? I note that this the last year of a 3-year deal – so what then? Obviously lesser priced sports like MLS and Formula E will probably stay around? Does this mean with Jeff Latch moving on that Sport on Duke is essentially dead? Oh dear. Amazon’s coverage of the US Open via streaming is leaving a lot to be desired for its viewers, according to Bloomberg. Good thing that EPL isnt reinventing the wheel when it comes to streaming in NZ. Oh wait – a NEW platform IS reinventing the wheel (for the third time). Gotta’ be easy, right?